We are a proud trader and supplier of a world-class range of Programmable Logic Controller (PLC). Our offered range stands incredible in terms of quality, as this is sourced from reliable manufacturers only. These Programmable Logic Controllers are developed using advanced technology only. Thus, have long service life. Further, our offered range is widely demanded. Being a prominent organization, we are instrumental in providing our valued clients with a wide assortment of Programmable Logic Controller. 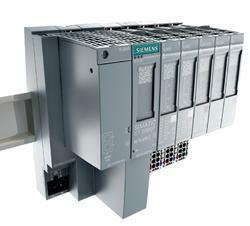 Siemens PLC (Programmable Logic Controller). 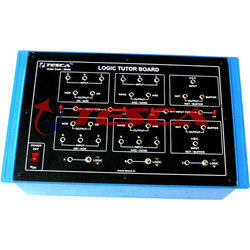 Our offered PLC panel is precisely provided using the best grade raw material, logical circuits and modern technology. With enriched industrial experience, we have been able to offer a wide spectrum of Phoenix Contact PLC. Usage: Garage door opener, Controlling a whole house, Including switching lights on or off Etc. We are among the reputed organizations, deeply engaged in offering an optimum quality range of Delta PLC. Programmable Logic Controller (PLC), or programmable controller is a digital computer used for automation of industrial processes, such as control of machinery on factory assembly lines. We provide complete range of plcs of digital and analog inputs of most trusted brands which include Siemens, allen bradley , mitsubishi, omron, schnider and many more. Pioneer in the industry, we are engaged in trading and supplying an impeccable range of Delta PLC. - Widely used to install in industrial automation control.